I’m back! Every now and then you just have to take a break. That was the case for me last week. 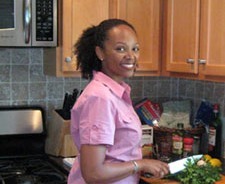 After pushing hard in August to maintain my blogging schedule of posting twice a week and working to win the 2009 Black Weblog Awards for best food blog (which I did – thank you! ), I had to slow down for a moment to regroup. Also, I had to make an adjustment to a new endeavor added to my schedule – yoga teacher training. I’ve written about my interest in dance and yoga before, which both go hand in hand with my passion around food, nutrition and good eating. All of these things are about nurturing your health and well-being. I study dance and movement regularly (multiple classes a week) and have been practicing yoga on some level since 2000. So wanting to deepen my own yoga practice and prepare myself for teaching others about using movement for feeding mind, body and spirit, I’m now working on my 200-hour-level certification with Shakti Mind Body Studio. Quinoa is a grain-like seed native to South America and high in protein and various minerals. It’s fluffy when cooked and has a nutty flavor. It can be eaten like oatmeal as in my recipe or like rice or cous cous. Millet is a grain that’s also a substitute for rice or cous cous and can be used in baked goods such as breads and muffins. Cooked together in water, similar to how you might make oatmeal; this combination makes a great hot breakfast cereal that adds some variety to your mornings – variety in taste and in the nutrients provided. 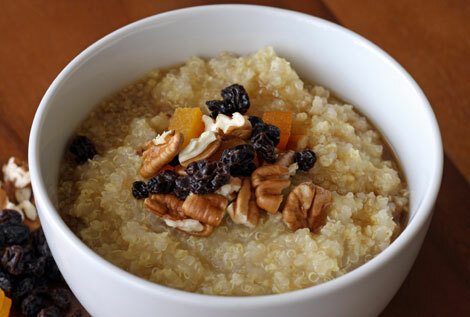 I’m from the south, so I love grits for breakfast (savory preferred – butter and salt), but I also enjoy oatmeal topped with chopped nuts, brown sugar and dried fruit. That’s exactly the same approach I use when making quinoa-millet cereal. Give it a try and let me know what you think. Bring water and a pinch of salt to a boil in small sauce pan. Add quinoa and millet, stir, cover, reduce heat, and simmer for about 30 minutes. Add a little hot water if it cooks too quickly. The cereal should be neither too watery nor dry (more like porridge). Serve in a bowl with chopped nuts, dried fruit such as raisins, currants and apricots, along with one to two tablespoons of maple syrup or agave nectar. You can also use brown sugar instead. Thank you so very much for this wonderful recipe. I just bought millet and quinoa and looking for a tasty recipe!! 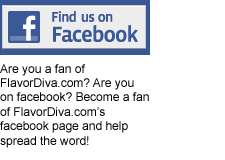 I am glad I found this blog because it’s fav’d!! Try replacing the water and salt with apple juice- that will mean you won’t need the syrup or brown sugar either- and serve with chopped walnuts, blueberries and raspberries- a fantastic way to start the day! YUM! Love this idea of combining the two!! Why didn’t I think of that. I’ll do it without the nuts because I’m allergic but I can substitute pumpkin or sunflower seeds. Thanks for the post!! I had a question on where do you get the quinoa hot cereal. I live in San Diego and went to trader joes and they dont have it in a hot cereal on in the grain form. Just get regular quinoa. You’re making it into a hot cereal.